Food is more than the calories it contains. It is fuel and it is information for our cells, telling them how to behave and which genes to switch on and off. Our relationships, career and connection with the world around us feeds our soul – this type of food is just as, if not MORE important than the food we eat! Everything feels better after a good night sleep. Doesn’t it? And for good reason. Sleep is an important time for your body and you need to be getting enough of it. I’m no personal trainer but I do know our bodies were designed to MOVE! From reducing insulin resistance to improving our mood; finding time to get moving is vital. Has your doctor ever recommended a lifestyle change you couldn’t stick to? Have you Google’d the “best” diets and feel totally overwhelmed at all the conflicting advice? It’s time to speak to a health coach. I will give you the time and attention you deserve to discuss your health needs in detail. We start with an Initial Consultation where we get to know each other and I find out about you and your health goals. Usually I work with clients for a minimum of 3 months, meeting twice a month online or on the phone. 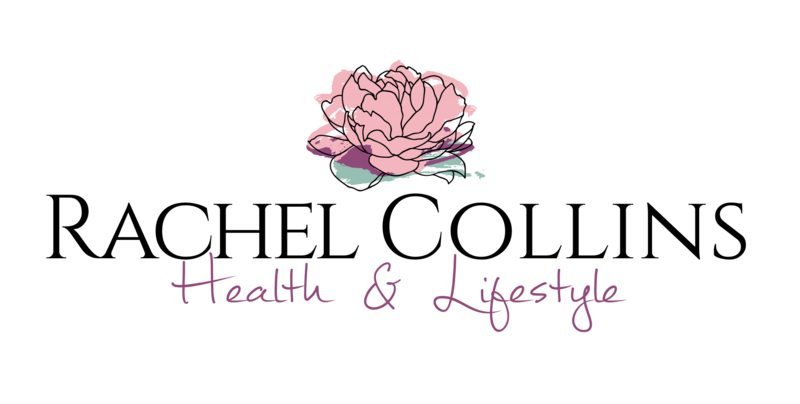 We cover all aspects of your health and I help guide you through food and lifestyle changes at a pace that suits you. I eliminate the guesswork and guide you through safe, flexible and evidence-based changes to help you feel better. In this 50 minute session we discuss your health history and symptom questionnaire in detail. You’ll share your goals with me and we will start to uncover the connection between your food, lifestyle and your symptoms. Together we will come up with a plan to move you forward. Once you embark on a coaching programme with me I will encourage you to start making changes right away. There is always something we can get you started on that will help you to feel better quickly; and there’s nothing more motivating than seeing your efforts pay off. ‘Test, don’t guess’ is my motto. I use a range of tools to investigate and find out exactly what is going on for you. This is where we start to look for the root cause of your dis-ease. Investigations can vary from experimenting with different foods to functional blood or stool tests. Once we have some answers I will help you make the changes. Breaking old habits and creating new ones can be hard, but it’s always easier with accountability and support. This process is designed to empower you to know your own body. When we work together my aim is to help you learn to listen in to the needs of your unique body; so aren’t reliant on me every time something changes. You become the expert! How Much Will Health Coaching Cost? The Initial Consultation with me is £50. Individual VIP health coaching sessions are £99 / session and coaching packages start from £190/month. Depending on you and your unique needs there may be other costs involved in coaching. My philosophy when it comes to health and figuring out what’s going wrong is to ‘test, don’t guess’. Functional testing starts from as little as £25 but depending on what you need it can cost hundreds of pounds. I will always work closely with you to balance the priorities of moving forward with our investigation and your budget. If testing is not an option for you right now, in most cases that’s fine, we can still move forward. Most of my clients find they spent a little bit more on their monthly food budget than they had been previously. This varies drastically from person to person but one you start realising the impact that food has on your health, you’ll likely be more motivated to reprioritise your spending money. And finally there might be some supplements or herbs you’d like to try. It is possible to get great results from health coaching without these additional costs, just let me know the budget you’re working with. I’m Rachel Collins and I am an Integrative Nutrition Health Coach. I help women to have the time and energy for the important things in life through simple changes to diet and lifestyle. I have a BSc in Psychology and my Masters in Healthcare Leadership and Management. My corporate life was spent in strategy in the NHS until I retrained and in 2014 I received my Health Coaching Diploma from the Institute for Integrative Nutrition. I have been expanding my nutrition, herbal and functional health knowledge ever since. I believe good health is the foundation for living a full and happy life. Too many of us are being held back in our careers, our relationships and our passions because we don’t feel well. Do you feel like that? After I became a Mum I certainly didn’t feel well. Clinically I was fine. ‘Normal’ even. But I wasn’t thriving. Now I’m passionate about helping other women uncover the root cause of their dis-ease so that they feel well. Every day. Book an Initial Consultation with me today and start uncovering exactly what’s stopping you feeling amazing.